The Sephardic haredi party Shas will endorse incumbent premier Binyamin Netanyahu for an additional term as Prime Minister after the April 9th elections – even if Netanyahu is indicted on corruption charges, Shas chief and Interior Minister Aryeh Deri said Tuesday. Speaking at a special event Tuesday marking the launch of Shas’ 2019 election campaign, Deri vowed that his party would not back any rival candidate’s attempt to form a governing coalition, and that he would support Netanyahu even if Attorney General Avichai Mandelblit decides to indict Netanyahu. The Prime Minister is currently facing possible indictments in three separate investigations, known as Case 1000, Case 2000, and Case 4000. Police have recommended Netanyahu be charged in the three cases, which stem from allegations Netanyahu and his family accepted cash and expensive gifts from a businessman in exchange for favors (Case 1000), claims Netanyahu advanced a newspaper’s interests in exchange for favorable coverage (Case 2000), and allegations Netanyahu pushed regulatory changes to benefit the Bezeq telecommunications company in exchange for favorable coverage from a news outlet owned by the leading shareholder of Bezeq (Case 4000). 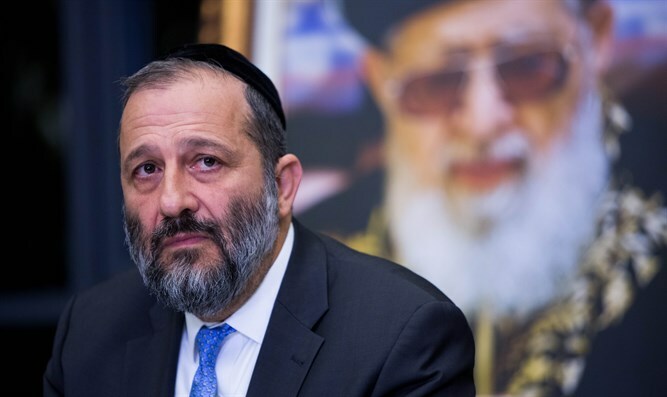 Deri also expressed optimism regarding his party’s electoral prospects, despite polls showing Shas barely clearing the electoral threshold.